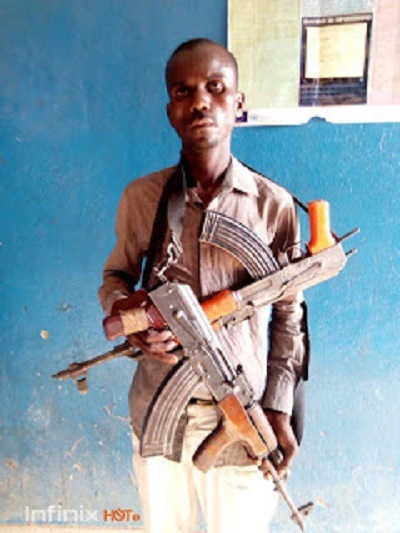 based on credible intelligence, IRT Operatives attached to Operation Absolute Sanity launched by IGP Ibrahim K. Idris arrested one of the most wanted kidnapper/Armed robber and Killers within Maraban Yakawada, Giwa local government area of Kaduna state named Bara’u Ibrahim aka Rambo who became Prominent in the crime world for Operating with 2 AK47 Rifles and his abilities in Firing 2 AK47 Rifles at thesame time during their operations in Kaduna and Zamfara State. 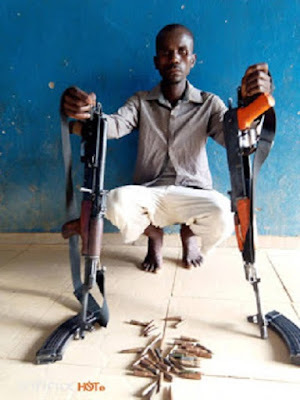 Another Gangmember Shehu Abdullahi aka Gashin Baki 40yrs was equally Arrested, IRT Operatives Recovered 2 AK47 Rifles With S/Nos: AD160102 and 1978AD4328 with 51 live ammunition respectively in the Operational VW Golf Car Of Rambo which is equally Recovered. Serious efforts in progress as IRT Operatives deployed to Kaduna are on unrelenting follow up against the remaining killers and kidnappers on the run.